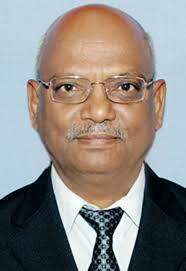 G. M. Bhopale is presently Associate Professor at Dr D.Y. Patil Institute of Biotechnology and Bioinformatics, Pune. He passed his M. Sc degree in Zoology. He was a recipient of junior research fellowship from Indian Council of Medical Research New Delhi and obtained his Ph.D. degree in Life Sciences from Vikram Univ. Ujjain . Soon after, he joined as a Research Officer in Dept. of Biochemistry, Mahatma Gandhi Inst. of Medical Sciences, Sevagram, Wardha. Thereafter he joined Research and Development Dept. of Hindustan Antibiotics Ltd., Pimpri. [1983-2013]. Dr. Bhopale has 30 years industrial research experience in the field of Chemotherapy for Parasitic and Microbial infections, Immunodiagnosis and biotechnology. His research interests mainly focuses on Chemotherapy of parasitic and microbial infections, Immunology. Do Microbes Care About Human Heart?